MANILA, Philippines- Filipinos have been used to long processing of business permits and clearances due to red tape in the government. As President Rodrigo Duterte vows to end corruption and red tape in the government, it seems that Filipinos can now expect faster service from government agencies. 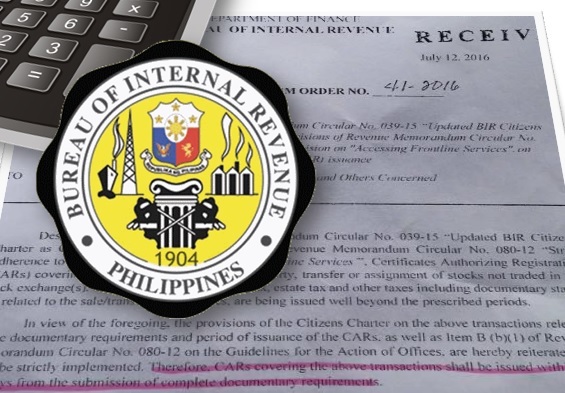 One netizen decided to share his surprising experience with the Bureau of Internal Revenue (BIR) after showing them an anti-red tape memo from the agency’s commissioner. President Rodrigo Duterte vows to end corruption and red tape in the government, it seems that Filipinos can now expect faster service from government agencies. According to Alexander John Rico, he was told by a BIR employee that it would take three months to process his Certificate Authorizing Registration (CAR). However, only a week after filing the requirements, Rico was able to claim his CAR. How exactly did Rico get the BIR employee to promptly process his CAR? Upon reading the memo, the BIR staff immediately asked for Rico’s claim slip. With the help of the BIR memo, Rico was able to claim his CAR within the day. “If Duterte was not the elected president, tuloy-tuloy pa rin siguro red tape,” Rico wrote in his post. Duterte, who served as the mayor of Davao City for more than 20 years, promised to fight red tape in the government using the same style he used in his hometown. He ordered government offices to process documents within three days. "My proposal is--in all government institutions--I will see that the clearances and business permits are given 72 hours. After 72 hours, you are no longer allowed to release the documents or papers. You have to forward it to me, and I will ask you why it took you more than three days to process the papers,” Duterte said.